It was late Thursday afternoon May, 22 when the skies darkened and all hell broke loose. I knew we were in for a good one, for the thunder were not individual claps but a constant roar. 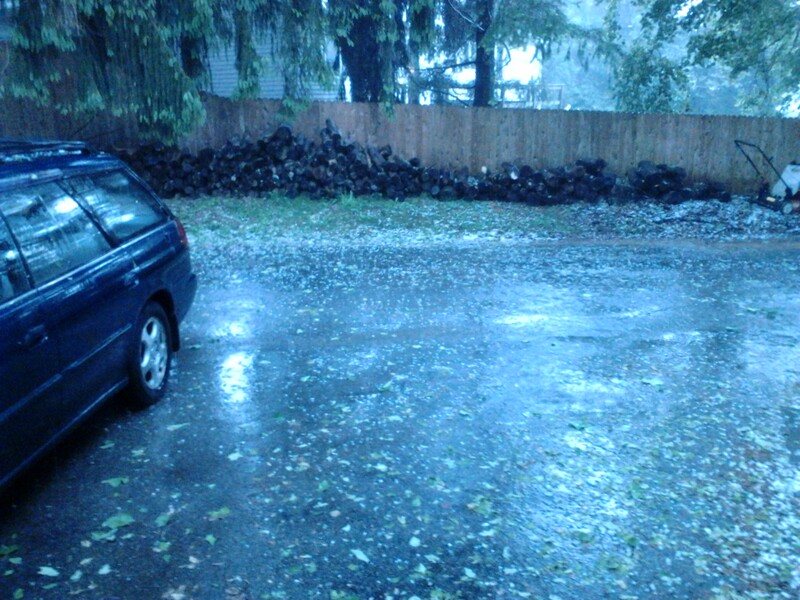 The roar was soon followed by wind, rain, and unusual for around here, hail. I took a few pictures to record the event. More upsetting though, as a writer, is that we are all at the mercy of the weather, and the misfortunes of life. With floods, tornadoes and the like becoming more and more common while our entire life’s work, all those words sprung from our brain that we hold so precious, are also at the mercy of the weather, and more. I recall that some time ago Toni Morrison’s house caught fire. Her original manuscripts, her precious work lost. Have any of you writers thought about what you would do if disaster came knocking at your door? Entry filed under: OBSERVATIONS & OPINIONS, Walt Trizna, WALT'S OBSERVATIONS, WALT'S OPINIONS. 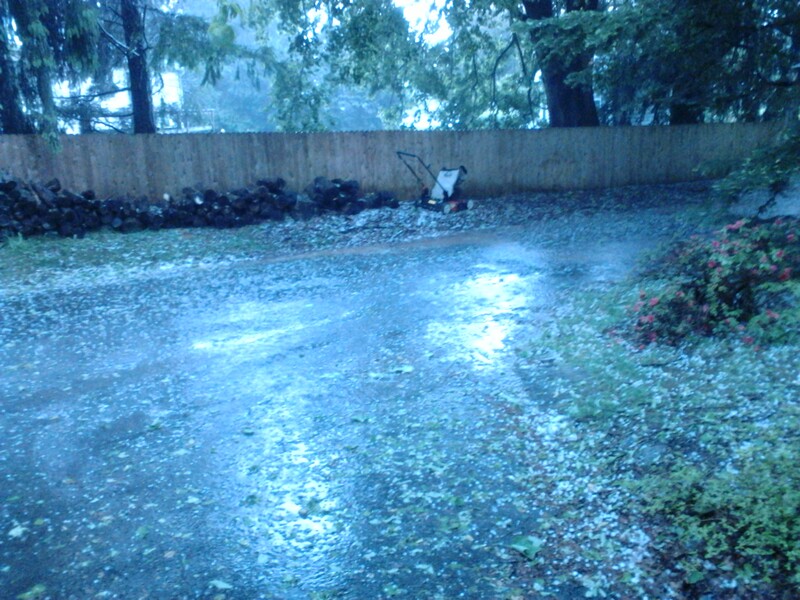 Tags: hail, weather, writers. I have which is why I would grab my backed-up photos and writing!